This is the first novel in a charming new mystery series set in Sicily and laced with Italian sensuality and humor. It features an amateur sleuth, the sassy and foul-mouthed Auntie Poldi. Recently widowed Poldi moves to Sicily in order to quietly drink herself to death with a sea view, but fate intervenes. When she finds the corpse of a young man on the beach, his face blown off with a sawn-off shotgun, she becomes a potential suspect in his murder case. Poldi soon falls for the gorgeous Commissario Montana who has been assigned to lead the case. They form an investigative--and romantic--partnership. The delightful details of this romance, and the extreme awkwardness of Poldi's retelling it to her mortified nephew, are some of the novel's many high points. Sicily, a vivid backdrop, is an island of people obsessed with food. They talk passionately about which remote village produces the best olives, pistachio ice cream, oyster mushrooms, mandarins, and marzipan, and about which restaurant serves the best pasta al nero di sepia or canolli a la crema di ricotta. And there is never a direct reference to the mafia ("an invention of those fascists in the North"), even when confronted with murders committed with sawn-off shotguns. Mario Giordano, the son of Italian immigrants, was born in Munich in 1963 and studied psychology at the University of Dusseldorf. He writes novels, books for adolescents, and screenplays. He lives in Cologne. 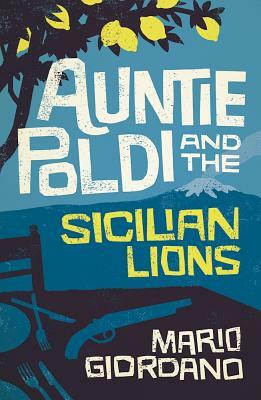 Auntie Poldi and the Sicilian Lionsis his first mystery novel. Mario Giordano: Mario Giordano, the son of Italian immigrants, was born in Munich in 1963 and studied psychology at the University of Dusseldorf. He writes novels, books for adolescents, and screenplays. He lives in Cologne. Auntie Poldi is his first mystery novel. John Brownjohn: John Brownjohn lives in Dorset in the UK. His work has won him critical acclaim and numerous awards on both sides of the Atlantic, including the Schlegel-Tieck Prize (three times), the US Pen, and the Helen and Kurt Wolff Prize for Marcel Beyer's The Karnau Tapes amd Thomas Brussig's Heroes Like Us.